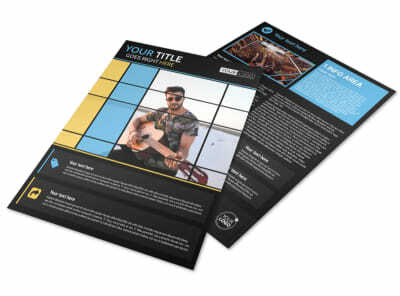 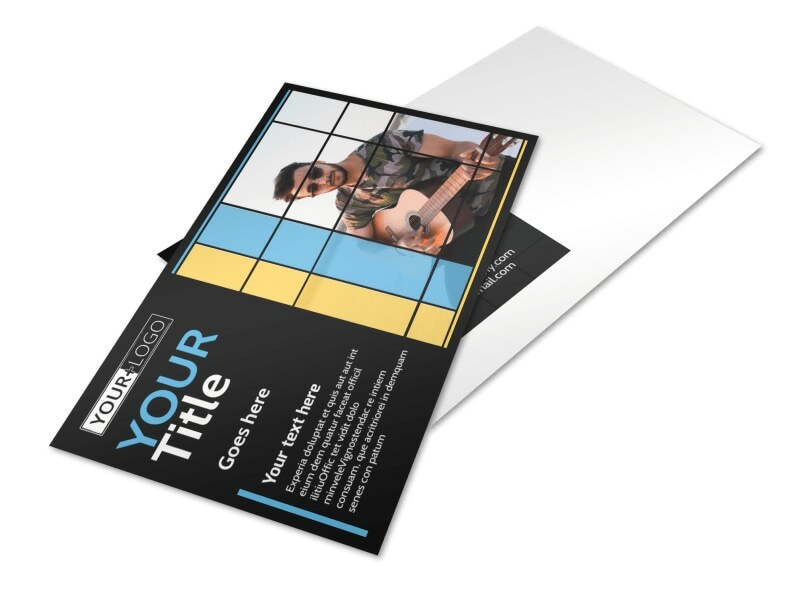 Customize our All Day Music Event Postcard Template and more! 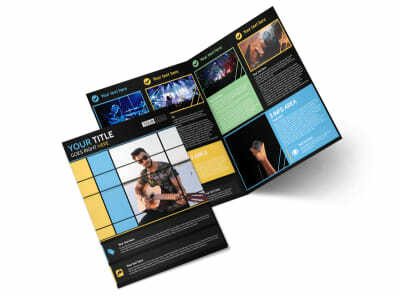 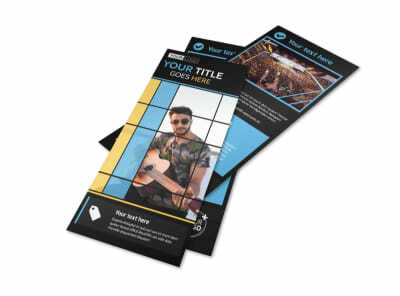 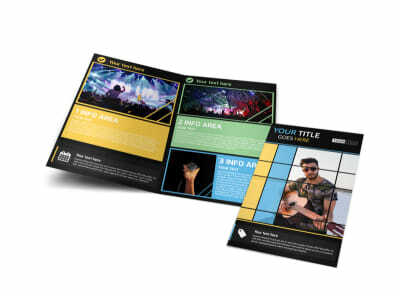 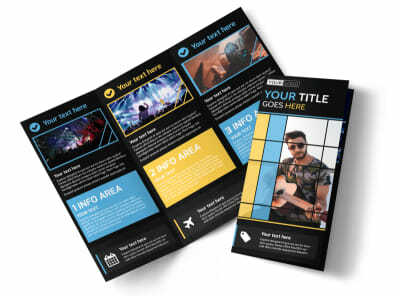 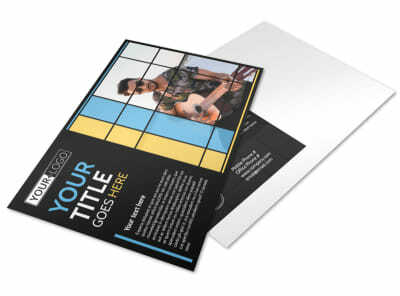 Make your upcoming concert, music festival, or other event the talk of the town with all-day music event postcards designed using our customer-centric templates. 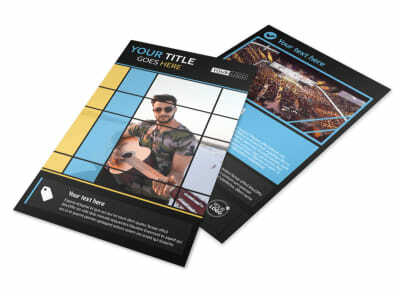 Use images, artwork, graphics, and text of your choice to detail headlining acts, performers, schedules, and more. 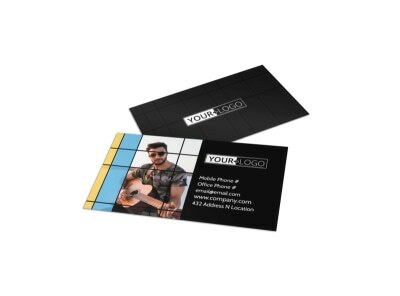 When your postcards are up to speed, print them from anywhere or let us print them for you for a professional edge.